The sewing completely took over this week, so I have had to combine three daily hats into one post. Here are three more versions of the new Cinch Cadet. 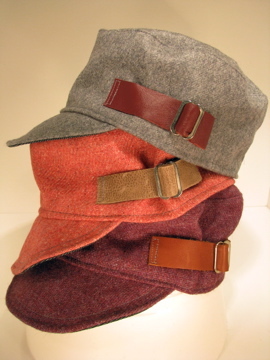 Made from vintage wool and cotton, the reclaimed leather straps and buckles make these caps adjustable to fit from 22" to 24". Watch for these in summer fabrics soon!